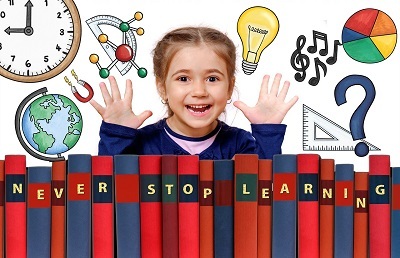 We are big supporters of STEM (science, technology, engineering and mathematics) education. So, when we were asked to suggest a school science project, we are happy to recommend making a drone as a science project. 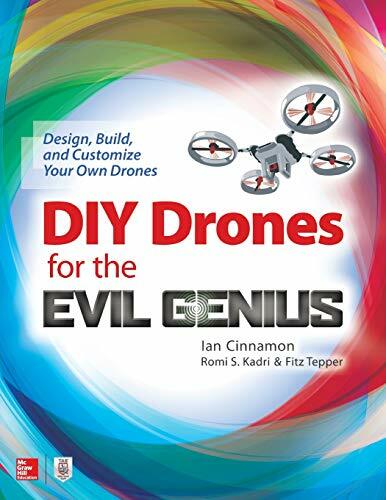 Yes, DIY drones with your kids or students – how FUN! 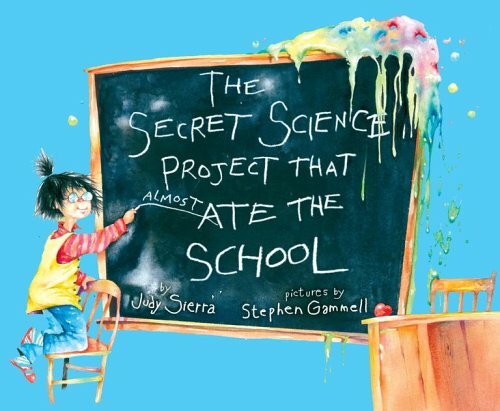 What makes a good school science project? Children around age 10 or 11 have big developmental jump in testing skills of true or false. Movement and motor skills also improved rapidly during this age range. The age groups for our science projects here range from 10 year-old to 14 year-old. These projects teach concepts around projects, building/engineering, math/measuring, and the scientific method. Our goal is to create a project which the child can use to prove something true or false, with measurable results. Safety is paramount. Blade guards or ducts for the drones should be considered for the younger kids age 10-11. Observation phase: What measurable questions can you think of? For example, how much can it lift? How far can it go? How fast can it go? Find questions which can be proven true or false. This question becomes your postulate. Question phase: Select a question / postulate and work on it. Record question in book. Hypothesis phase: Find a way to test and measure your question / postulate. Record ideas. Results phase: Run tests and record results in book. 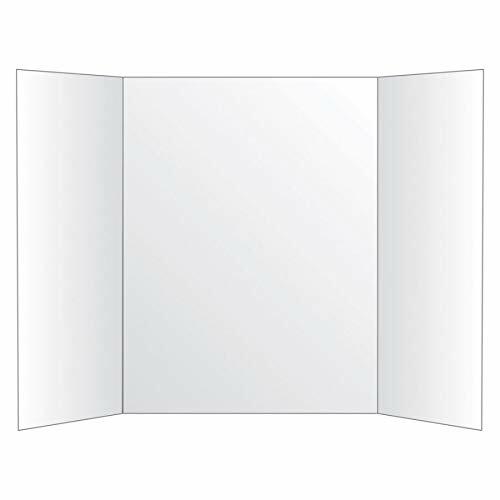 Conclusion Documentation: Usually a Tri-fold poster is used to summarize the project and present it at the science fair. Prepare the Presentation: Most teachers require the student get in front of the class and make a presentation. 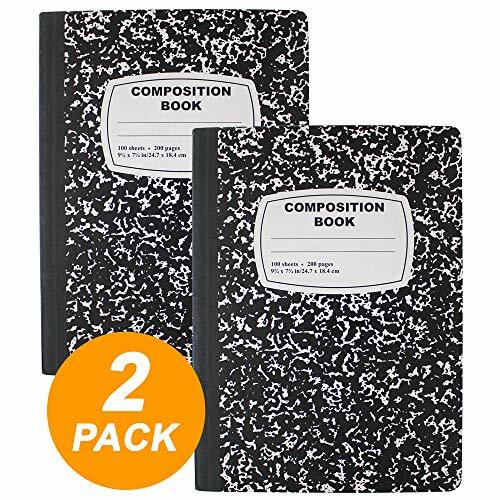 Remember to prepare the presentation on 3 x 5 cards. The student should practice the presentation several times. If the teacher requires a certain length (like maybe 2 minutes) make sure that the presentation fits the teacher’s requirements. Not near homes or over private property. Not near accidents or police activities. You should have a good idea about how much you will spend on the project. Depending on which drone you choose for the project, the estimated total budget ranges: $50 – $200. You need to plan for how much time you expect the child to spend (by themselves) and how much of your time are you willing to put in to help the child. We suggest that the child will spend about 4 hours by themselves (not all at once), you will spend about 4 hours with them, too. If you have selected a postulate requiring the drone to take pictures, you will need a camera on the drone. Other possible features: Drone which can be per-programmed to take a specified flight path. This will much more educational, but will increase the cost. We are not suggesting this type of project for grade school or middle school. Age 10 for close supervision. Age 14 and up for flying it on their own. The propeller blade goes fast and while maybe it won’t cut, it will hurt. As with all drone related Science project, children should learn about what keeps it up. It would also be good if they can learn about velocity vectors. One of the reasons that schools assign science projects is to encourage parents to work with their children to follow instructions, test as much as possible at each step. 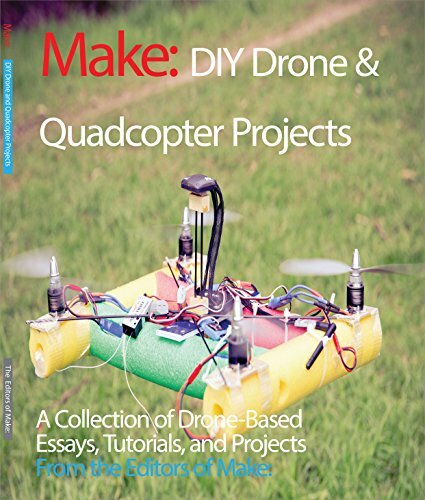 Small project, (takes less than an hour to assemble), learn about quadcopters, include in a larger Lego projects. Age 14 and up unsupervised. Can learn what makes it fly and the physics of flight. Gives children the satisfaction of making it themselves. This quadcopter is small and lightweight. It can’t carry much weight or fly very far or damage things that it his. Good for learning about flight or testing small hypothesizes. For example: how much can it lift or how far can it fly? Hands on learning kit in how to solder; soldering iron and solder not included. Age: 10 – 14 and up. The younger child requires more supervision. Good learning tool for learning about flight. Less than an hour to assemble. Radio Shack has a lot of experience selling to the Do It Yourself crowd. This kit is well designed for that purpose. This is a small quadcopter, but you can test some more complicated hypothesizes. 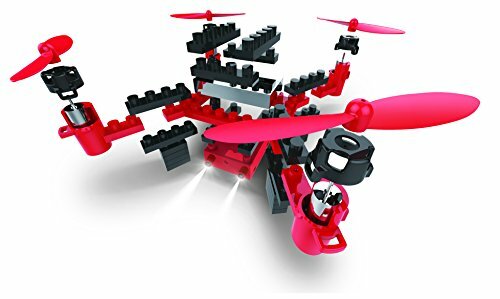 A good tool for learning about quadcopters and helping a child to develop eye-hand co-ordination. Age: from 10 year-old andup. Can learn about the physics of flight and weight vs. battery power. Great tool for learning how to build something, building and assembling something by hand. It can carry very small loads, fly short distances. It is a good learning tool. Less than an hour to assemble and fly. Age: Any project that involves propellers and children under 14 should also have some close adult supervision. A good learning tool for learning about flight, propellers velocity and vectors. You can start learning about yaw, pitch and roll. Has a programmable remote. You can program it to fly a specific flight path. 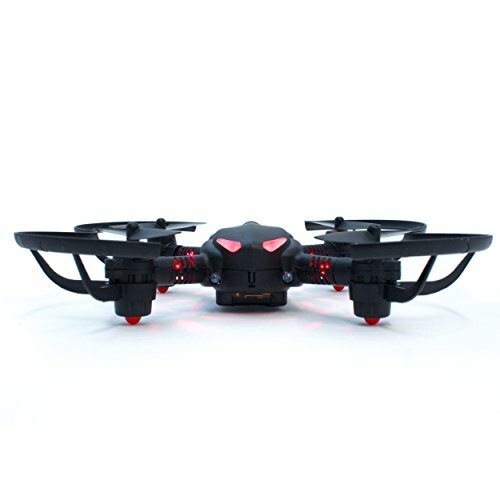 This quadcopter comes without a camera, but the camera can be purchased separately (see below). 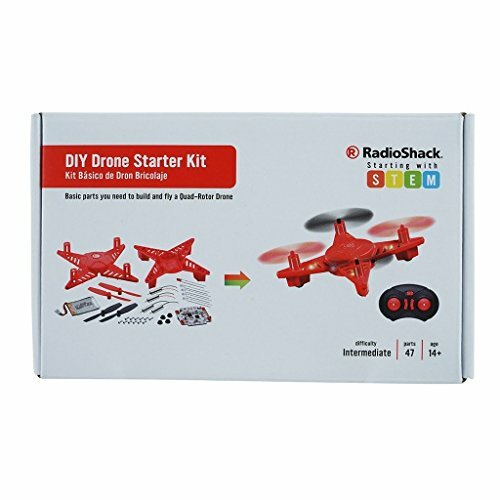 This quadcopter is a great beginner drone for children to use in a science project or as a first hobby drone. Congratulation – you have taken the first step to research and find an exciting science project for your kids or your students. 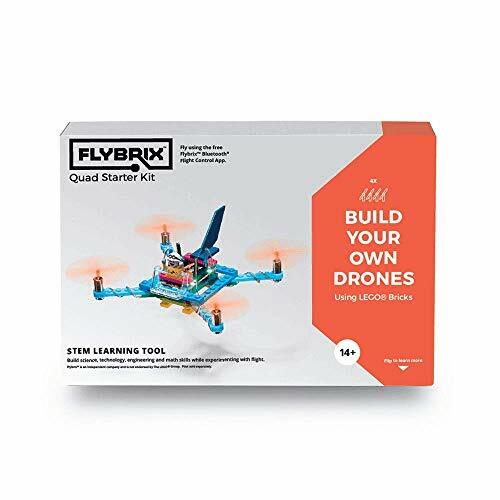 Any of the above DIY drone projects will teach your kids the concepts around projects, building/engineering, math/measuring, and the scientific methods. A quadcopter based science project help children learn about the science of flight, and provide them with a good starting point for STEM. The process of building a drone will help the child develop a skill in assembling thing which will be of value their entire life. 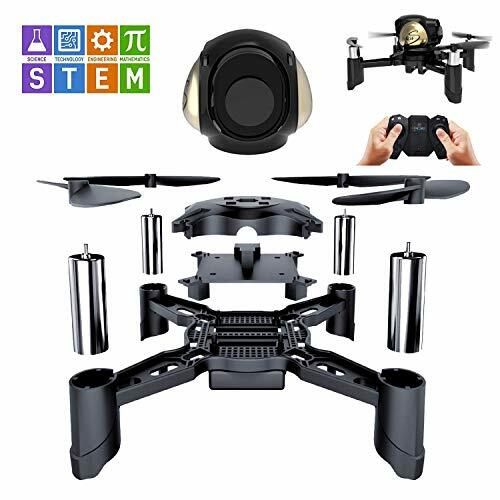 We hope you and your kids will have fun in making a drone in your school science project. Go STEM! Grades 1-3. Girls reads about making slime. Does not read instructions, makes a big mess etc., Fun book, and teaches about following directions. Explanations and suggestions for the parent. Very helpful to the DIY Dad. Regard this as reference material for parents. Suggested for 14 years old and up. Parents interested in teaching their children about how stuff works and how to DIY will love this book. Several small science projects. 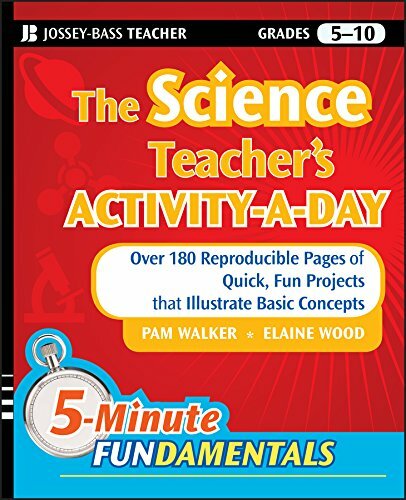 This publication targets science teachers, but can be used at home (by parents) to help the kids get a better grasp on the principle involved in science. Check out Drones for kids for more information on buying guide and check list.